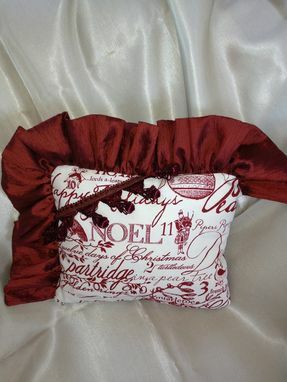 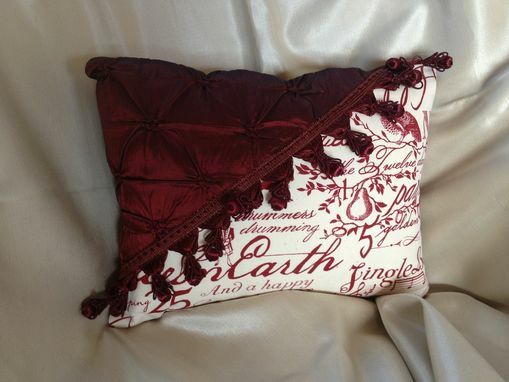 These are one of a kind, hand made pillows They are trimmed in burgundy fabric of either crushed velvet or quilted satin and an off white fabric titled "The Twelve Days of Christmas." 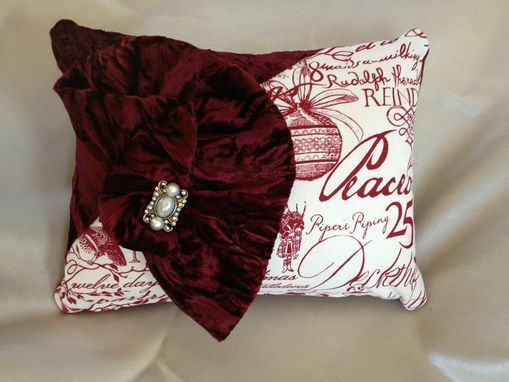 They are embellished with satin tassels and in some cases hand made bows. 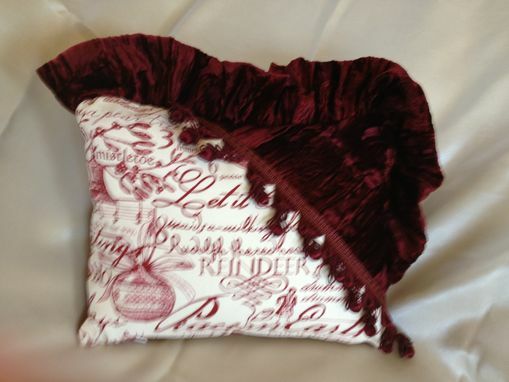 .Pillow is filled with a mix of poly and 10/90 down/feather; 10" X 13" pillow forms with a zipper at the bottom.